Looking for a new Nike Knicks jersey? Or maybe you’re looking for a new hat. 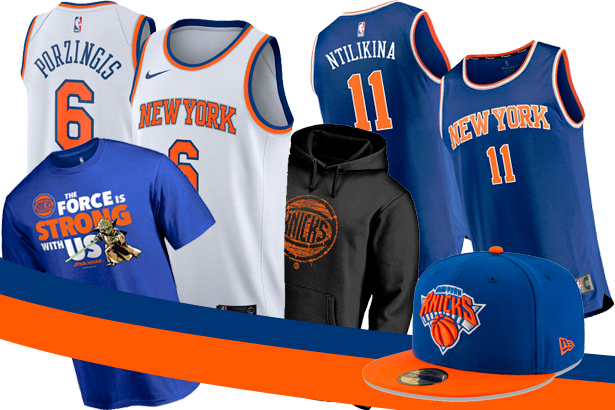 Whether you want a new hoodie to keep you warm this winter or just a t-shirt, we have opened up a store, here at Knicks Online, where you can get all the Knicks gear you need. Basically, we’re just promoting the NBA store as an affiliate, so everything you buy from KnicksOnline.com is actually an NBA store purchase. You get your favorite gear from a trusted supplier at no extra cost. What does KnicksOnline.com get out of this? For every purchase made from our store, we get a small fee that helps us keep the site going. Basically, when you buy something from the KO store, you support the website. We like the idea of a store much better than other forms of advertising and if it proves to be a success we’ll keep it running.